You may bring your questions about plants for your garden and ask a certified Master Gardener. You may take a huge step toward successful cultivation of plants in your garden by having the Master Gardeners test your soil for its acidity (pH). Dig a soil sample according to the instructions linked HERE BY NO LATER THAN APRIL 28th – 29th and let it dry per the instructions so that the Master Gardeners can do a free on-the-spot test at our event. One sample per household, please. We will have a collection of prime-condition giftable plants from local nurseries for sale, plus divisions of perennials contributed by friends and members for later summer flowering. 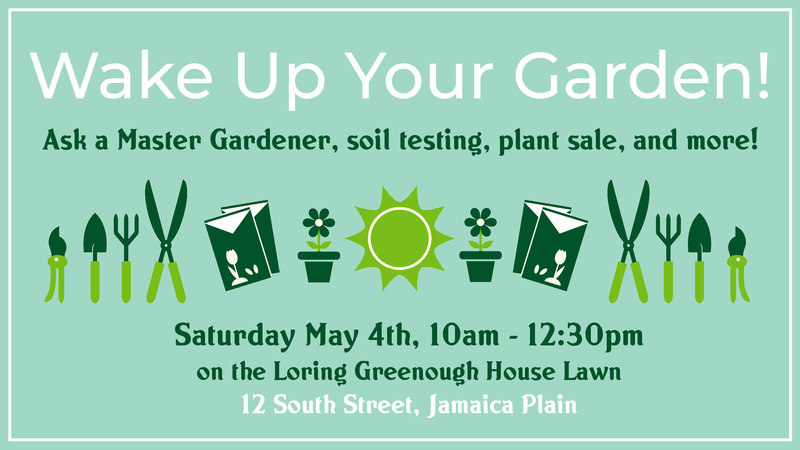 Please contact the Loring Greenough House (info@loring-greenough.org) if you have an additional garden-themed activity you would like to set up a table for May 4th, 2019 from 10 to 12:30.